Reflecting on more than 15 years of North American availability, Mariotti USA can attribute the success of the Mariotti line to the commitment of our manufacturer, V. Mariotti S.r.l., and our dealer network to produce the highest quality lift trucks and provide customer service and support that is second to none. 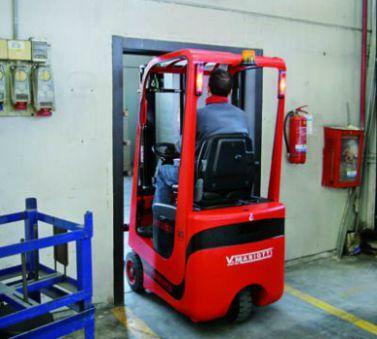 V. MARIOTTI S.r.l., founded in 1920, has more than 30 years specializing in the design and manufacture of small front-loading forklift trucks. As a market leader in the small truck field, Mariotti offers you more than 20 different models with capacities of up to 3,000 lbs. In 1920, Vasco Mariotti started designing and selling industrial trucks, carts, lift trucks, trailers, and packaging materials for the Italian market. He did this for over 50 years before selling to the now current owners of V. Mariotti S.r.l. As the years passed, production progressed to offer equipment such as pallet trucks, small-capacity counter-weighted lift trucks, counter-balanced forklifts, and electric conveyors. 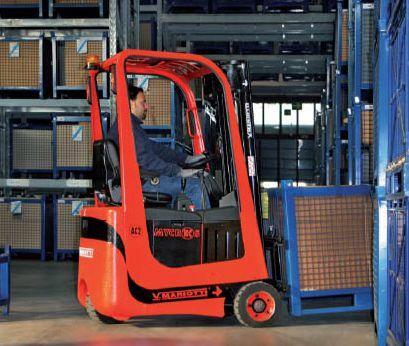 However, in 1985 V. Mariotti found their niche with small capacity counter-balanced forklifts; and by 1992, a full line of forklifts with capacities from 800 lbs. to 3,000 lbs. was available. As the market demands, new models with enhanced features continue to be introduced to the market. In 1998, Mariotti forklifts became available in North America and Mariotti USA came to fruition. Over the years, MariottiUSA has worked diligently to set up a comprehensive dealer network, suitable for servicing all new and used Mariotti products. Our Mission is to provide quality equipment designed to meet the unique application needs of our customers. We work alongside our dealer network in a consultative approach to determine the optimum needs of your organization and then match the proper products and services to the application. A highly qualified team of experts drives the ongoing pursuit of perfection in terms of innovation and performance as a response to the growing needs of the market. Research and innovation have long been the company’s distinguishing features, turning it into a flexible firm, capable of responding to their customers’ needs, in particular where there are special handling demands and requirements to be met. In these cases Mariotti USA is in a position to create tailor made solutions for particular kinds of working environments, where needs are not met by standard machines. Over the years Mariotti has helped to solve the problems associated with material handling and stacking for many prestigious customers who, as market leaders in their own sector, demand the utmost professionalism and quality. Starting at the manufacturer, quality is built in to ensure customer satisfaction. 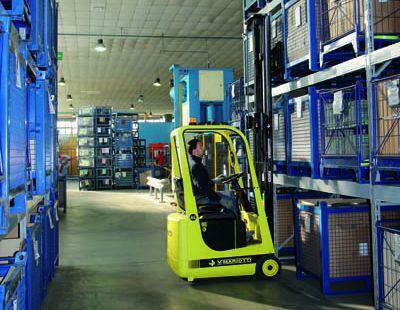 Then through the distributor's support for parts availability and stocking of forklifts. Finally, the comprehensive dealer network, sales and service support is paramount to customer satisfaction. As a result of our constantly expanding distribution and sales network, our company now operates in many countries around the world. The network is made up of a selection of exclusive dealers covering different geographical areas in the United States and Canada. Mariotti USA is headquartered in Des Moines, Iowa. This location supports the dealer network with sales, parts, and technical support.